Our Alaskan cruise ended Friday morning at 7am in Vancouver and to maximize our time spent in Vancouver without spending the night, I looked for a redeye flight home back to New York. 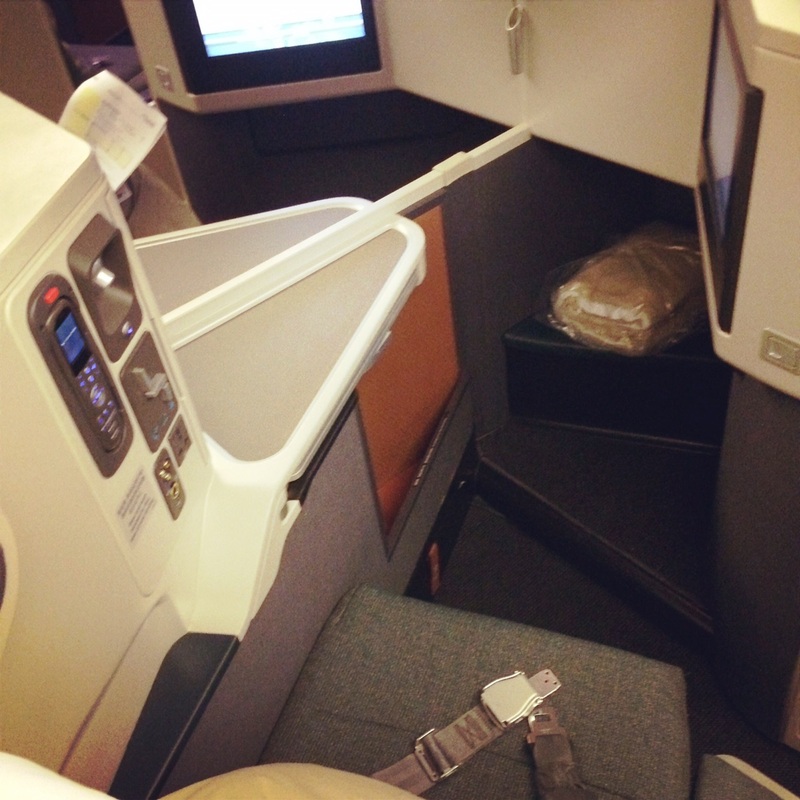 Cathay Pacific had the perfect flight for us leaving Vancouver at 10:50pm and arriving in New York at 7am. Even better, there were several ways to book this flight with miles and there was availability in either economy or business class. 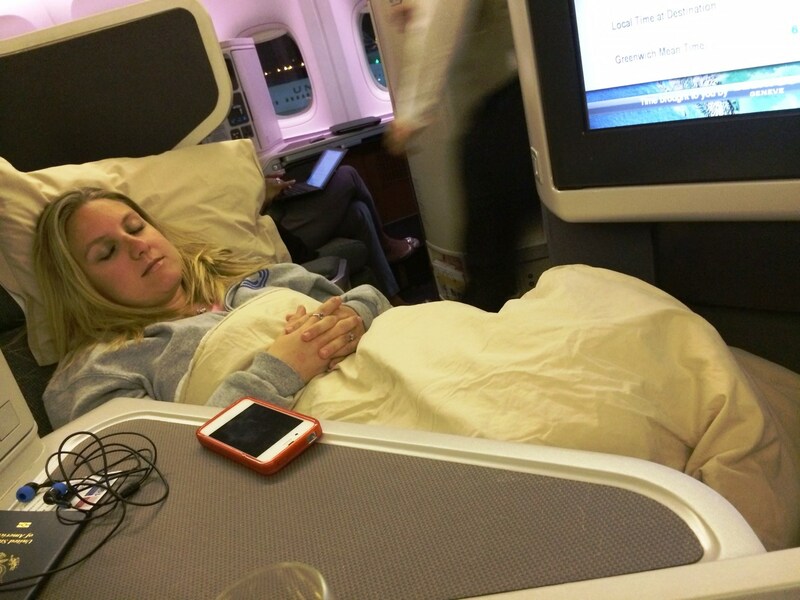 I ended up booking business class with lie-flat beds for Andrea & I for a total of 25,000 British Airways Avios each – an unbeatable deal I’ll explain in more detail below. 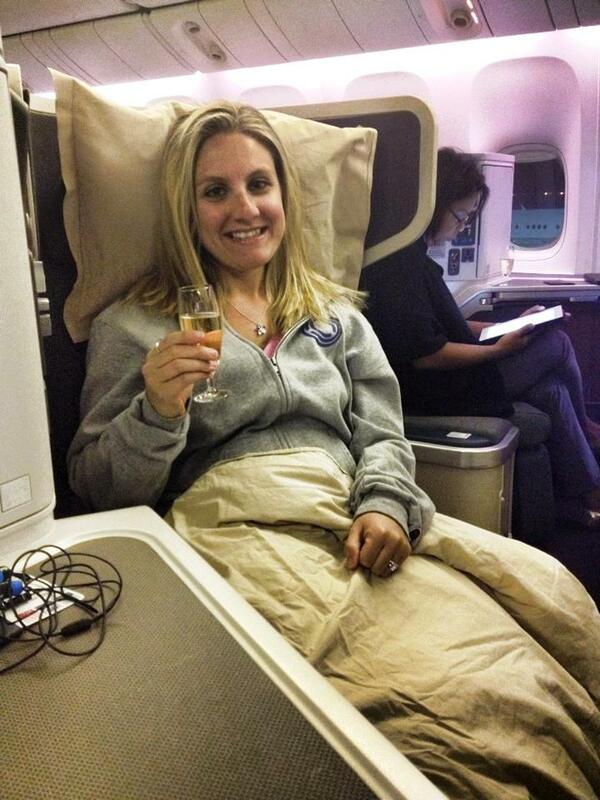 A little champagne pre-departure helps you fall asleep right? Option 1. 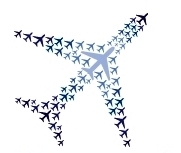 American Airlines AAdvantage Miles – American charges 25,000 miles per person for a one way business class flight from Canada to the lower 48 US states or 12,500 miles for an economy class seat. There is no restrictions on booking just a one way flight. Option 2 – US Airways Dividend Miles – US Airways charges 50,000 miles per person for a roundtrip business class flight with no option to book just a one way flight. This stinks because I only need a one way flight and I would not be able to book this flight for half the amount of miles due to US Airways rules on award travel. Since I want just a one way flight, this option is out. Option 3 – British Airways Avios – British Airways has a unique award chart in that the price in miles of the flight depends on the distance of the flight flown. So I needed to figure out how far the distance was between YVR (Vancouver Int’l Airport) and JFK. You can check this at Global Circle Mapper (it returned a distance of 2,449 miles) or to avoid this step, simply use the British Airways Avios Calculator tool on their website to determine the Avios cost in miles. My cost would be 25,000 miles one way and there is no restriction on booking just a one way flight. My decision came down to using AA miles or BA Avios – both of which I had a healthy balance of – and I decided to use Avios since they are best for direct, shorter flights (based on the unique award chart above). I’d rather save my AA miles for longer trips possibly to Asia or Australia where BA Avios would be a poor use (since these trips generally require connections and that would raise the mileage cost for Avios). 1) It’s a short redeye flight and my goal is to maximize sleep. After a long day in Vancouver, I guessed (correctly) that we would be exhausted and I wanted to hit the ground running the next day (as best I could on ~4 hours of sleep). I don’t have to tell you this but lie-flat seats make a big difference. 3) This was an unbeatable value in terms of a redemption of miles. Generally for domestic and Canadian flights it is hard to average more then a cent or two per mile (i.e. $250 flight that cost 25,000 in miles has a redemption of 1 cent per mile). 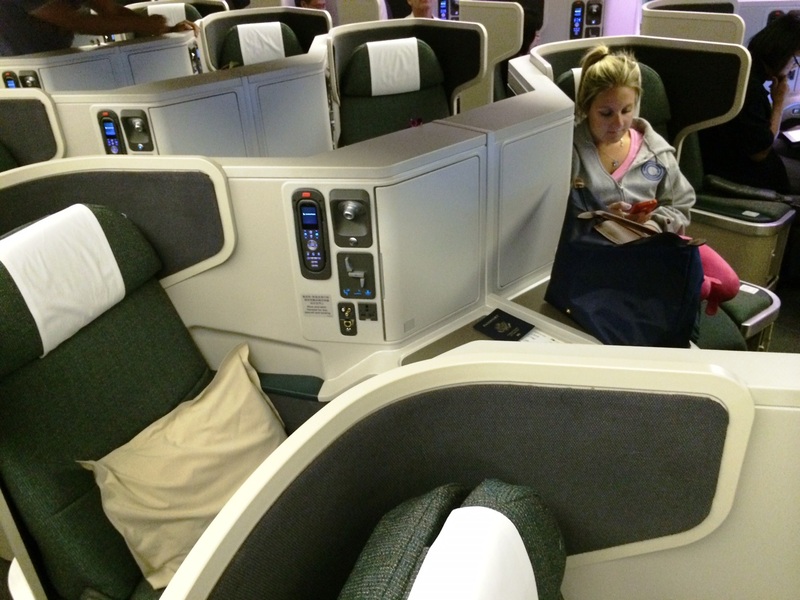 In this case, business class seats were pricing at $2,000 a seat!! That’s a redemption of 8 cents per miles (2,000/25,000) which is phenomenal! 4) I just wanted to do it. As I’ve said before, points & miles allows you to take and have opportunities you would have no chance to experience otherwise. 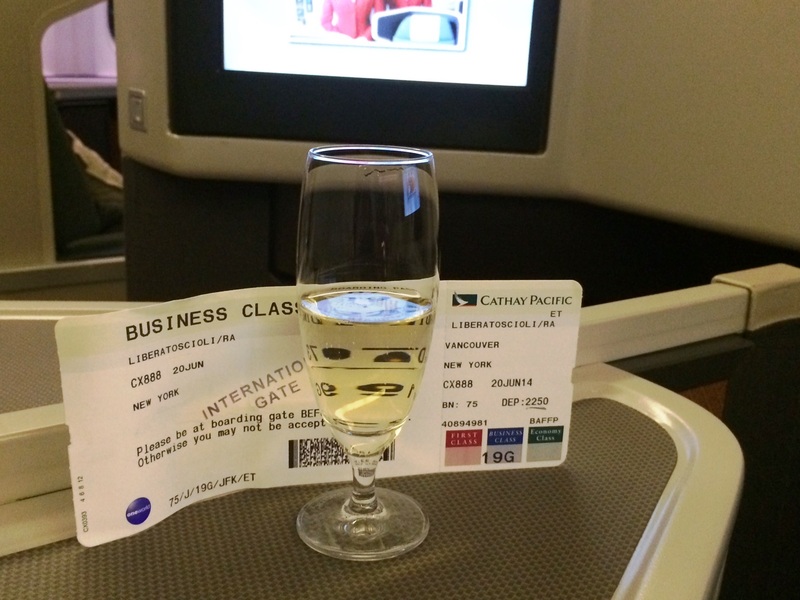 Could I ever pay this for business class flight? Hell no. But with miles it’s easy – it was only an extra 12,500 miles per person which is nothing in the grand scheme of things considering signing up for a credit could get you 50,000 to 100,000 miles in one shot! The Final Tally: 25,000 British Airways Avios (transferred from my American Express Memebership Point balance) + $71 in taxes. Not too shabby for a $2,000 flight! Lastly, I’ll leave you with some additional pictures of the seat (sorry for the poor quality but its the best I got for this trip).